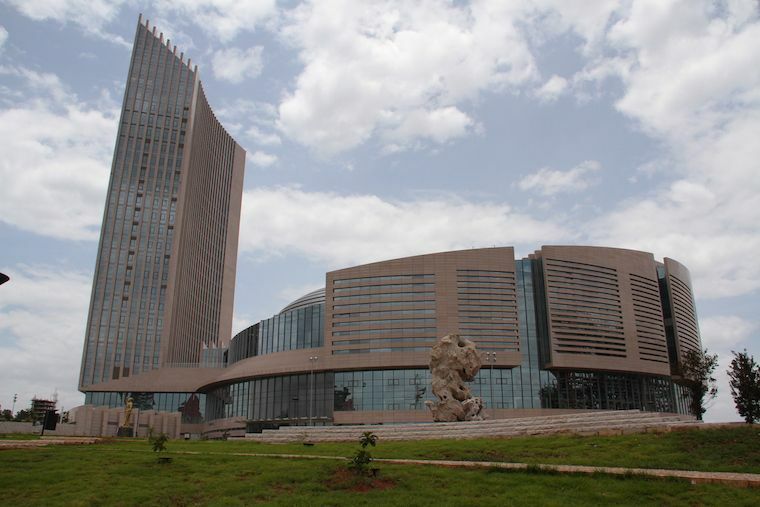 Addis Ababa, 30 March 2019 – Ahead of the 7th edition of the African Risk Capacity (ARC) Conference of Parties (CoP7) to be held at the African Union Commission from 31 March to 1 April 2019 in Addis Ababa, the Chief Executive Officer of the African Media Initiative (AMI), Dr. Roukaya Kasenally, and her ARC counterpart, Mr. Mr Mohamed Béavogui signed a MoU that will see the two organizations work hand in hand to qualitatively and quantitatively improve reporting of issues related to climate and disaster risks financing. The signing ceremony took place during a one-day interactive workshop for journalists on “Reporting on Climate & Disaster Risk Financing” in collaboration with the African Union Department for Rural Economy and Agriculture (DREA), the Department for Information and Communication (DIC) and the African Media Initiative (AMI). “This partnership is a step in the right direction. There is no other way of enriching public conversations around the issue of disaster risk financing will reach our people if the media are not sensitized and strategically put to contribution”, says Dr. Roukaya Kasenally, CEO of AMI. “Journalists need to get a deep understanding of this innovative tool that seeks to protect African countries against severe climate actions before they can break them down to their audiences for an informed conversation that will,” added Mr. Eric Chinje, Senior Advisor at AMI. “When we embarked on this journey and wanted to popularize the concept of disaster risk financing, our first thoughts went to how best can we leverage the power of the media to ensure our message reach our target audience so as to build the necessary critical mass that will protect our people’s lives and livelihoods. AMI has come in handy, through their vast experience in training, monitoring and mentoring media professionals across the continent,” said Mr Mohamed Béavogui, ARC’s Director General. The partnership, among others, will focus on Advocacy, Communication and Awareness-Building through a stronger political engagement between ARC Agency and African Member States through advocacy and awareness, building on the role of ARC Agency as a Specialized Agency of the AU in Disaster Risk Financing. AMI will facilitate dialogue and exchange between ARC Agency and key Disaster Risk Reduction actors in the Africa region and amplify the importance of Disaster Risk Financing in the region. The African Risk Capacity (ARC) is a Specialized Agency of the African Union established to help African governments improve their capacities to better plan, prepare, and respond to extreme weather events and natural disasters. Through collaboration and innovative finance, ARC enables countries to strengthen their disaster risk management systems and access rapid and predictable financing when disaster strikes to protect the food security and livelihoods of their vulnerable populations.